Simply throw the dive sharks into the water and watch them sink. Dive in and see how quickly you can grab them. 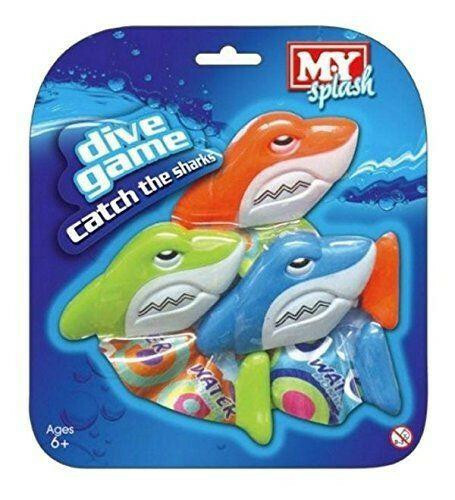 Great for children to practice swimming underwater and diving skills. Suitable for children from 6 years of age. Adult supervision required.